With more and more people today choosing to forgo carrying cash and exclusively using a credit or debit card, card fraud is an ever prevalent risk. A particularly scary form of fraud being deployed is RFID fraud, also known as “wireless theft”. Someone with an RFID device can steal your card information simply by walking past you and scanning you with a special device. That’s why Imossi is here. 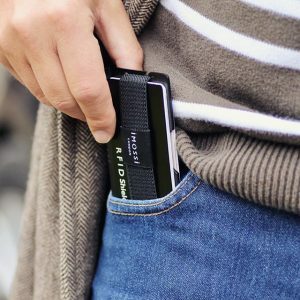 Imossi offers safe wallets to store your cards in, in order to prevent yourself from wireless theft. Imossi is a line of slim, aesthetically pleasing wallets to safely store your cards. This is because they come with a free RFID shield. That way, your information is kept private and out of the hands of thieves. Imossi wallets are made from high-grade aluminum and come in N1, N2, and NW3 collections. The NW3 is made out of leather, but still as safe as the previous models. Imossi is fun and customizable. These wallets come in a variety of colors, such as black, silver, and gold, so you can choose according to your own preferences. The straps on the wallets also come in regular or leather. The wallets come with interchangeable colored straps and an integrated bottle opener. They feature a minimalist design and the ability to safely hold up to ten cards at once, so all of your accounts can stay protected. 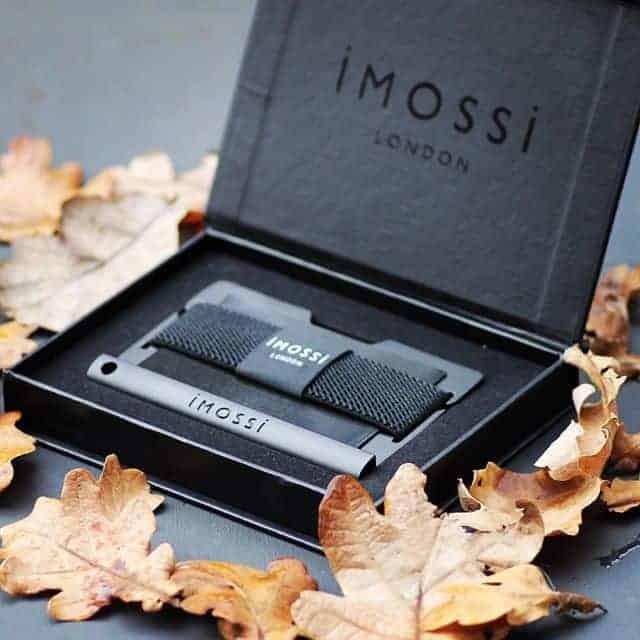 Imossi also sells separate wallet straps and RFID shields. If your purchase is a gift, they offer gift wrapping services. And if you need to personalize your product, there is an option to order it with engraving. Imossi offers other products, as well. Some of the other products offered by the Imossi company include phone cases for the iPhone 7, iPhone 6(S), and the Samsung Galaxy S8. These high-quality cases are leather and come with two card slots.